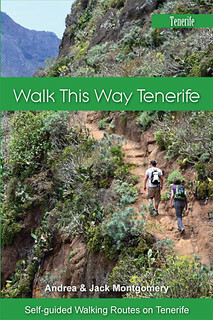 The weather for carnival week on Tenerife wasn’t as good as it could have been but it wasn’t as bad as it often is for the biggest party of the year and night time temperatures fro the street parties in Puerto were friendlier than usual to those revellers who like to expose a lot of flesh. In the north it stayed cloudy and coolish at the start of the week with some rain for the Burial of the Sardine in Santa Cruz and Puerto de la Cruz but not enough to stop the sardine reaching its final resting place. In the south there was more sunshine but still quite a bit of cloud about. Calima over the weekend sent the thermometer soaring across Tenerife with the High Heels Marathon and closing carnival parade in Puerto de la Cruz enjoying summer like weather. The north, east and south west should enjoy the best of the sunshine this week with the south experiencing more cloudy spells than other coasts. There will still be plenty of sunshine though. Temperatures will be cooler this week, not creeping much above the low 20s. 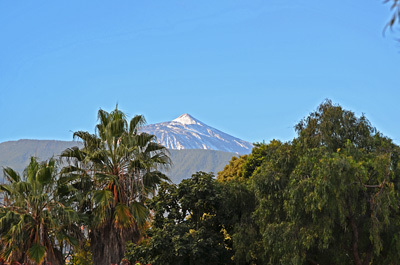 It looks like Mount Teide will ne making a final attempt to wear a white coat as snow is forecast on at least three days. 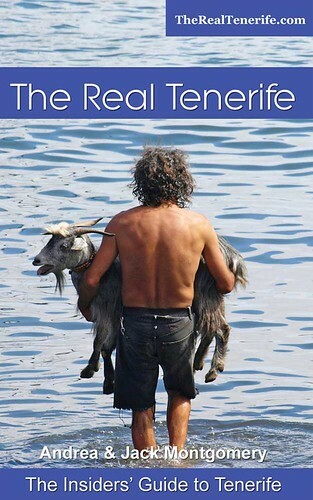 Weather in South Tenerife – It looks like it could be a greyish start to the week with a 10 to 25% chance of rain. Tuesday will be sunny but although the sun will shine at some point there’s going to be a lot of cloud about and temperatures will be a lot lower than last week staying around 18-20C. There might be more rain between Friday and Sunday (5-10%) but if there is, it won’t amount to much. 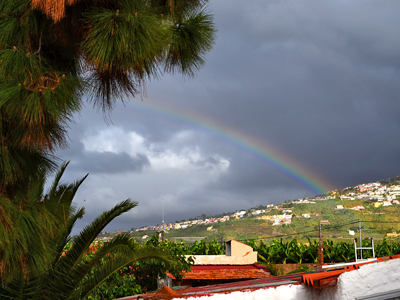 Weather in North Tenerife – If the forecasters are right there should be more sunshine in the north than in the south. A cloudy Monday (20-50% chance of rain) will lead into a sunny Tuesday. Wednesday, Thursday afternoon, Friday and Sunday will be sunny and Thursday morning and Saturday will be cloudy with sunny spells. There’s a 5% possibility of showers over the weekend and temperatures will hover between 14 and 18C. 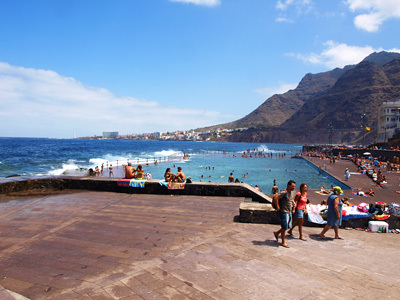 Weather in East Tenerife – After a mix of sun cloud and rain (25-65% possibility) today, Santa Cruz and the east of Tenerife should enjoy mainly sunny weather with only Saturday seeing any significant cloud cover. Like the north there’s only a 5% chance of showers over the weekend and like everywhere else it will be a cooler week with temperatures staying around 17/18C. 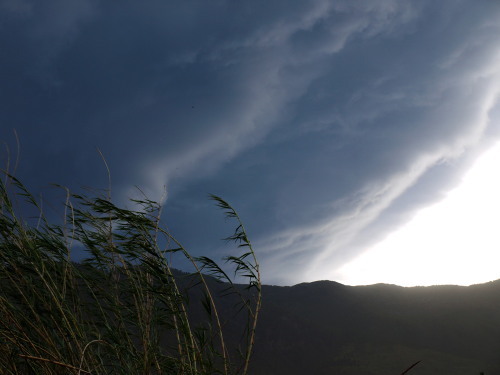 Weather in South West Tenerife – For a change, the south west has joined forces with the north and the east by reflecting the weather in those parts rather than in the south. It will be a mainly sunny week with some light cloud except for Monday which will have a cloudy morning followed by a cloudy and sunny afternoon when there might be showers (15-30%). Wednesday morning will also see a mix of cloud and sun. The south west should be the warmest place on the island with temperatures ranging from 20-23C. Like everywhere else there’s a slight chance of showers over the weekend. 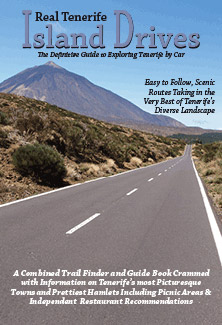 Weather in the Mount Teide Crater – Monday will see a mix of cloud and sun in the crater before the sunny weather takes over for the rest of the week. 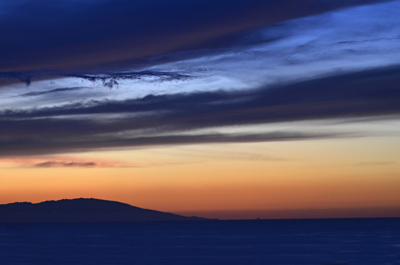 The summit of Mount Teide could be interesting this week. Although it will be mainly sunny there will be some high cloud this morning and on Friday and Saturday morning. Snow is predicted for this evening and for Friday and Saturday morning. There will also be high winds on the summit over the next couple of days so check that the cable car is operating before travelling. So far today webcams around Tenerife show that it’s quite bright but there are high clouds across the island. 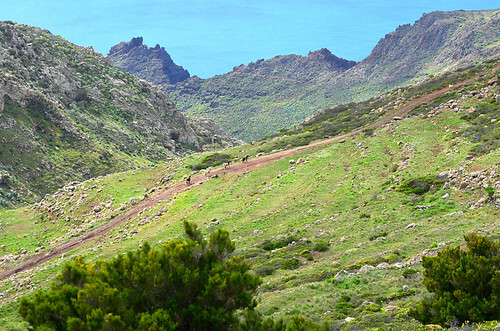 Pic: In the Teno Mountains where walking at this time of year can take you through different seasons with sun, wind, rain and cloud keeping you company on different sections.